Relentless, a riveting blend of Syrah and Petite Sirah, is a groundbreaking red from a region and a winery better known for producing stellar Cabernet Sauvignons. From his first vintage in 1978, founder John Shafer, joined by his son, Doug, steadily built the family winery into one of Napa’s elite; their signature Hillside Select Cabernet is one of California’s most sought-after reds. The Shafers credit Elias Fernandez, a migrant worker's son who has been involved in the winemaking for 28 harvests, with steering the winery to a higher level of quality. To honor Fernandez’s commitment to perfection, they named this wine Relentless. To create the blend, the team planted a parcel on a knoll south of the winery, outside the Stags Leap District boundary, to 14 acres of Syrah and 4 acres of Petite Sirah. The grapes are cofermented, and the wine is aged 30 months in new French oak barrels. From its first vintage, 1999, Relentless has been a model of consistently high quality, closely tracking Hillside Select. 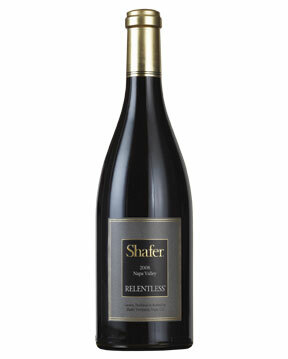 The near-perfect growing conditions of 2008 are reflected in the wine’s complex array of flavors and textural nuances. Relentless marks the second time in three years that a Rhône-inspired red from California has been chosen as Wine of the Year, and it is the seventh Napa wine to earn that honor. 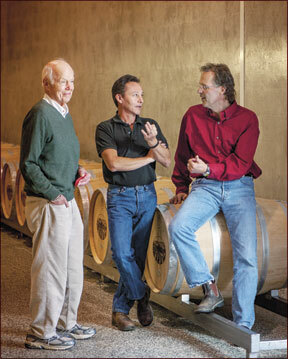 Read the Dec. 31 issue of Wine Spectator for the entire fascinating tale behind Relentless.